Baseball legend Frank Robinson passed today at 83. The announcement was made today by Major League Baseball. For the past several weeks he was in hospice and while his passing does not come as a surprise, it rekindles the greatness he displayed as a player and all-around talent in major league baseball. iconic shot from 2016 Jackie Robinson Day at Dodger Stadium. 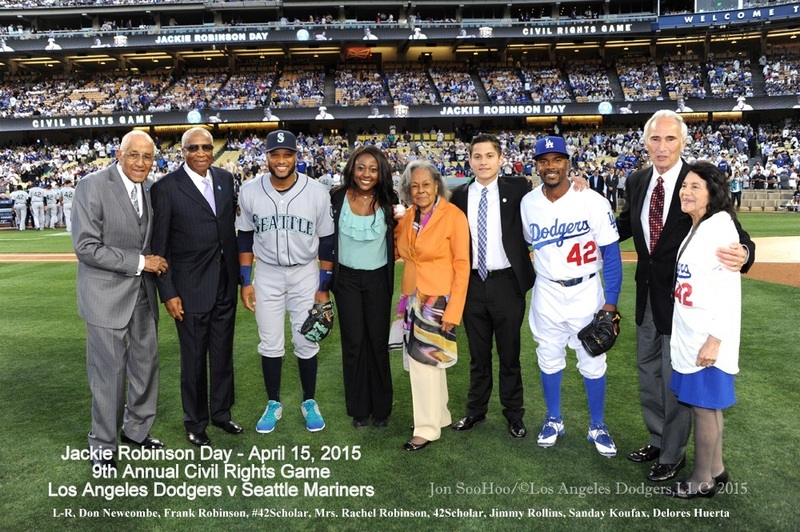 Frank also was there to support Mrs. Rachel Robinson and his dear friend Dodgers legend Don Newcombe. Following in the footsteps of Jackie Robinson, in 1956 Frank broke in with the Cincinnati Reds. The rest is history. He was known for his fierce competitive spirit; as a player, a manager and executive within the league. Robinson shunned fraternization which is prevalent in today’s game. Perhaps, because players lack the same team loyalty that once was common-place among teams during Robinson’ era. They move around within the thirty teams at a more frequent pace as putting in more than five years with a team might be considered rare. During Robinson’s era once the players hit the dugout to prepare for the game, it was unheard of for players to greet those from the opposition or even share a positive nod, let alone embrace them…..even though they may have been lifelong friends. While Jackie is known for the player to break the color-barrier in MLB, Frank goes down as the manager who did the same.